The need for Thais to equip themselves with professional and language skills is growing significantly, as Thailand is set to become a part of the Asean Economic Community next year. The need was highlighted at the “Wake up Worker” event hosted by the Labour Ministry late last week. It aimed to review, evaluate and prepare Thailand for the upcoming merger into anAsean community. 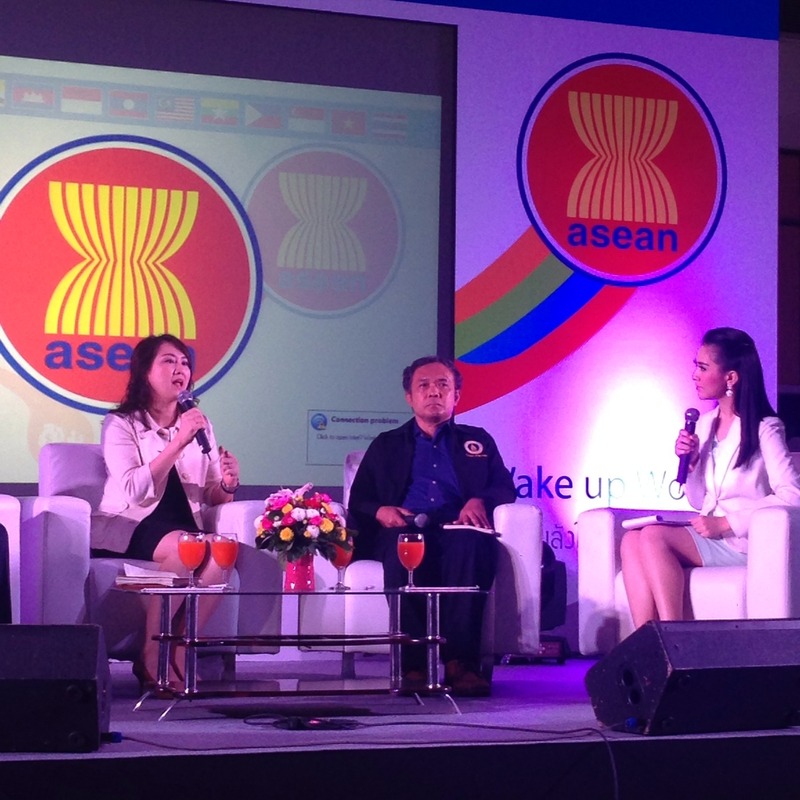 The event also marked the launch of Happy Talk AEC, a phone application capable of translating all Asean languages plus Mandarin. Developed by the ministry, the Thai Health Promotion Foundation and the Thai Federation on Logistics, the app looks set to facilitate basic communication amongAsean peoples and cut problems of miscommunication. But even with such an app, Thais needed to be well prepared in their skill sets, both professional and language skills, particularly English, said Tanawong Areeratchakul, an executive from Siam Cement Group. They also need to change their mindset to be more aware of international perspectives. “Even in SCG, only three out of almost 300 wanted to work in other Asean countries,” he said. “Because we’re skilled at what we do, we tend to have the feeling of being the ‘elder brother’. “However, when we have to go work with people from different countries, we have to keep our minds open. When working with others, this [feeling of being the 'elder brother'] becomes our constraint,” he said. It was necessary to prepare both offensive and defensive strategies in regard to the AEC, he said. Using SCG’s regional preparation as a basis, he asked people to keep three questions in mind in order to determine what underlying direction Thailand is heading in so that it can improve its labour force. Noppawan Chulakanista, general manager of JobsDB Recruitment Thailand, said the attitudes of students must change, because Thai students are now seen as not as proactive as their foreign counterparts as they stick only to their comfort zone. “Thai students want a higher education without fully understanding what the current market is looking for,” she said. Chokchai Suttawet, a lecturer at Mahidol University, said students believe that by earning a higher degree, they are building up their “grade” within society. Fresh graduate Haripan Wongsuwan said foreign students are more hardworking and confident in expressing their opinions. If Thais want to become a real part of the AEC, they must learn more about the people. “The more I researched [about them], I realised that we may have better learning skills [than they do] but we are lacking in work ethic,” he said. When Thais adopt an Asean citizen frame of mind they will be truly ready for the AECwith a valuable and efficient workforce. “We need to help each other in creating something like a new giant country, with 10 countries in one,” he said.